I use network setup to modify my search domains which works fine so far, but it only does it per device. Once I VPN somewhere, it no longer uses those changes. Is there a way to set the search domains globally (ie. 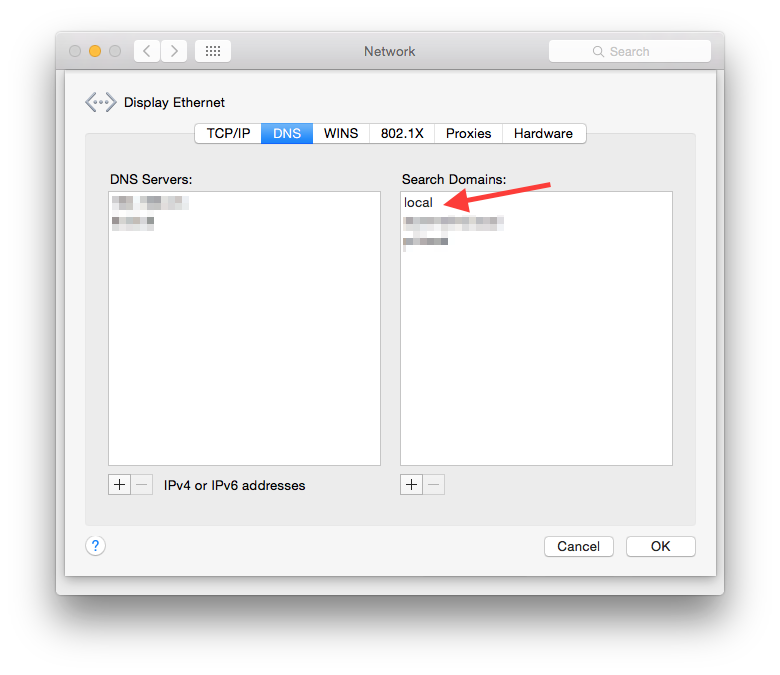 for every device: Ethernet, Wi-Fi, and VPN) on Mac OS X Lion? There was a similar issue in 2002 with OS X. I found a few articles about it and I've been able to address this issue by simply adding "local" to the Search Domains in the advanced network properties of my network interface. This has allowed those of connecting via VPN to resolve .local hosts. com.apple.mDNSResponder.plist can be overwritten by something else/update and you will forget it. The url above is the "supported" way to add the domain search path to the DNS query. If you want a strict command line solution, you can add the search domains manually to each adapter/service. $ networksetup -getsearchdomains "Thunderbolt Ethernet"
Not the answer you're looking for? Browse other questions tagged mac . How can you set up a free, universal OS X-wide ‘autosave’ script?